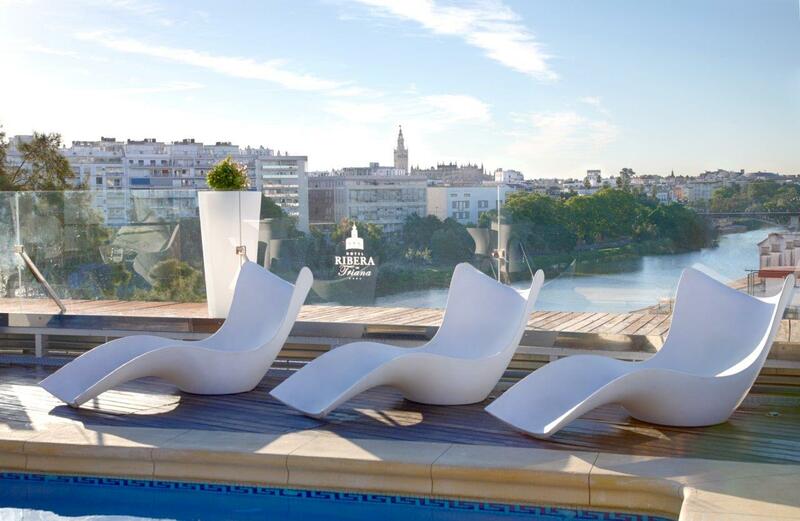 What could be better than enjoying a dip in a small swimming pool overlooking the Guadalquivir River? 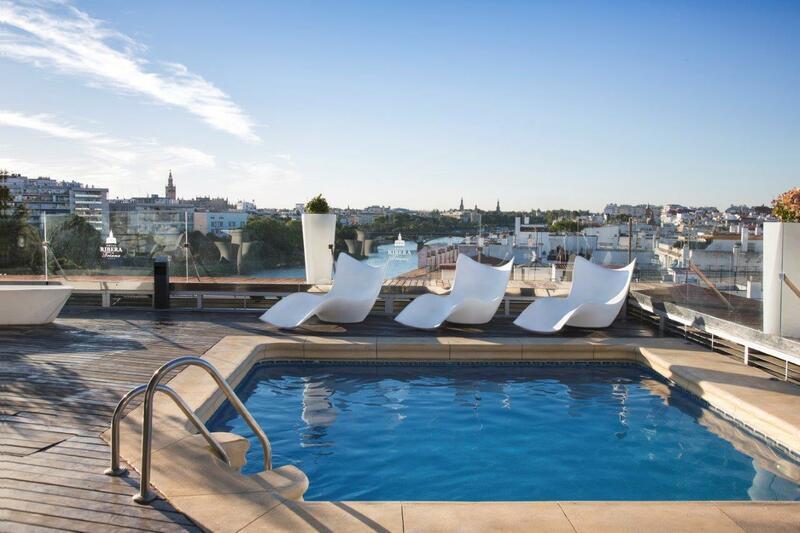 Enjoy the unforgettable surroundings and unwind at our small pool. 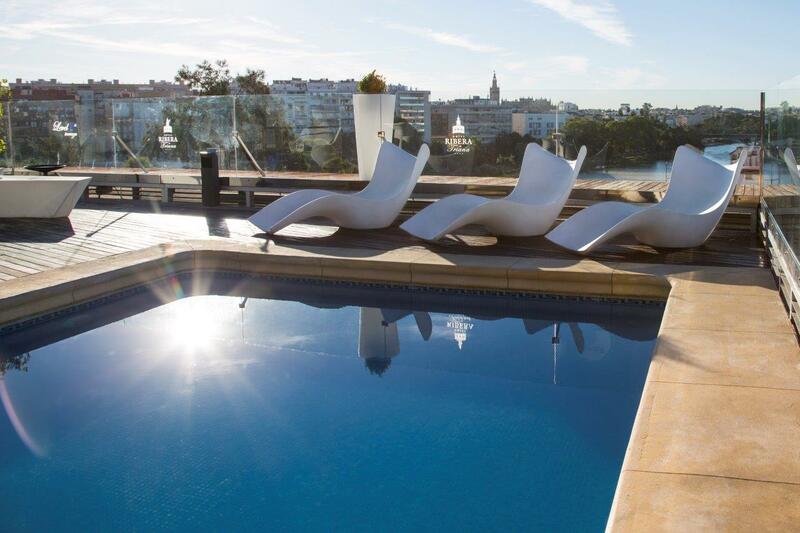 As one of the best rooftop pools in all of Seville, you will be able to relax and enjoy the panoramic view over the River Guadalquivir and the district of Triana whilst you improve your tan in the sun of Seville.